This console has a big flip-able switch, a bunch of printed slopes and tiles, and even a Sonic Screwdriver holder, just in case they ever release an official sonic for the 10th Doctor. But for now I'll settle with my "gem and a light saber holder" screwdriver design. 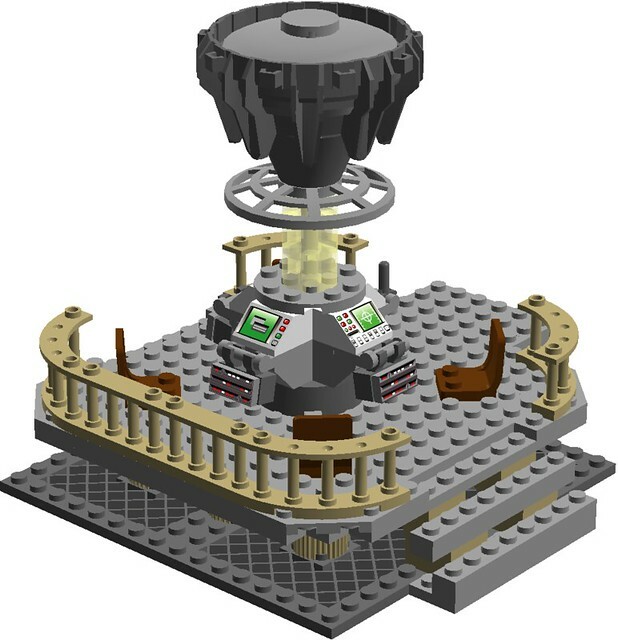 The console features two staircases to access the floor of the TARDIS, and four chairs in corners spots. Here you can see how the console attaches to the exterior: a 1x4 Technic axle slides into a receiver on the TARDIS wall / front door. 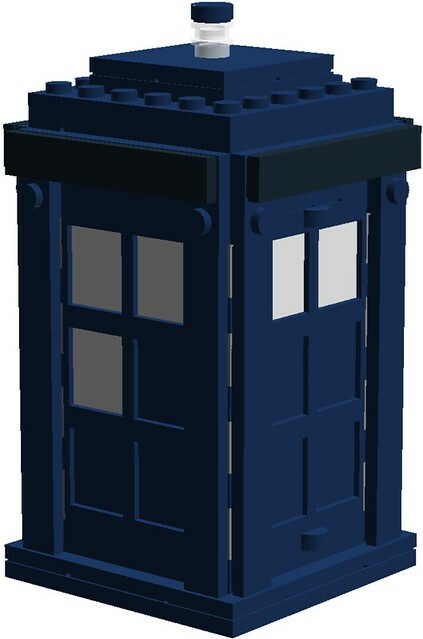 Here is the exterior of the TARDIS from Lego set 21304 (called Doctor Who), as reconstructed by Eurobricks user CM4Sci. 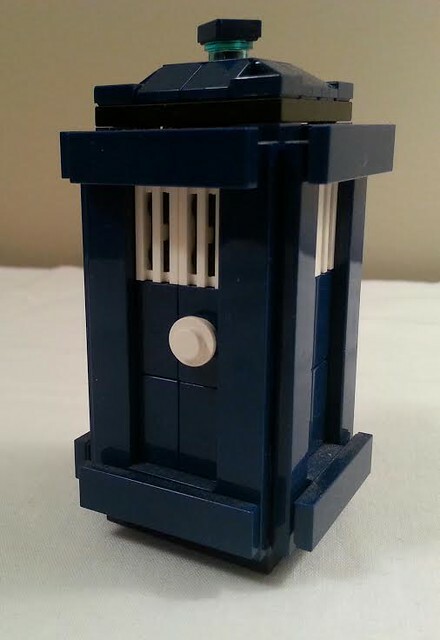 When I get the set i'm going to remove one of the panels (the one with the St. Johns Ambulance cross) and replace it with a plain dark blue panel, as 10 didn't have that on his TARDIS. The Doctor in his 10th (11th in you count the War Doctor) regeneration. 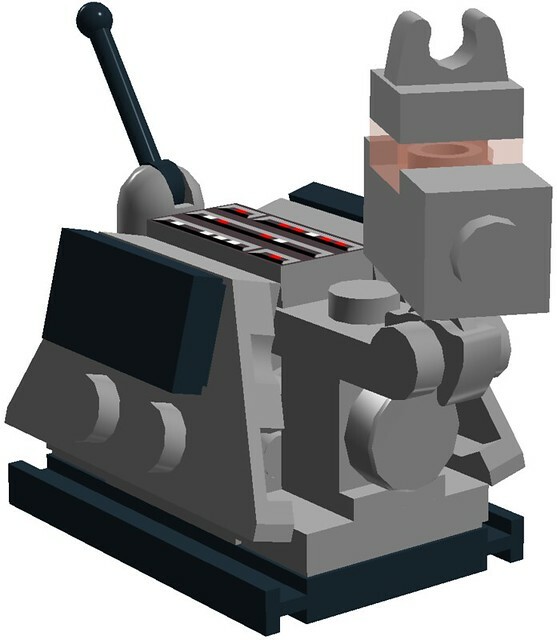 K-9 is from Dimensions LEGO set 71204, which was recreated in LDD by Facebook user Mike MacMillian. 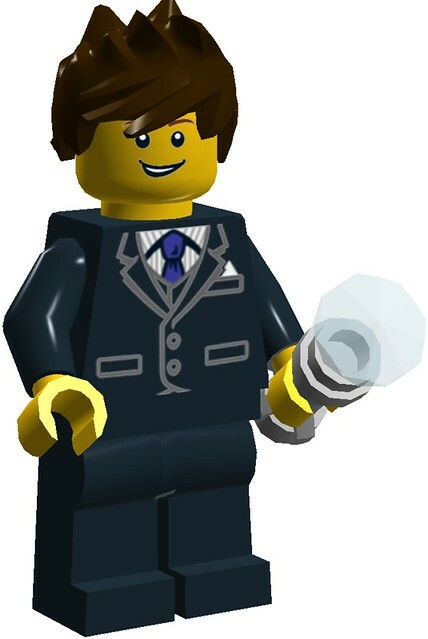 I'm going to use printed black 1 x 1 tiles to say "K9" instead of buying the LEGO Dimensions level pack and using the parts there. I really don't like the Doctor in yellow form, sorry. The rest of it is okay though. Here is a pic of that head. Very cool! But, why didn't you use the regular spiked hair? 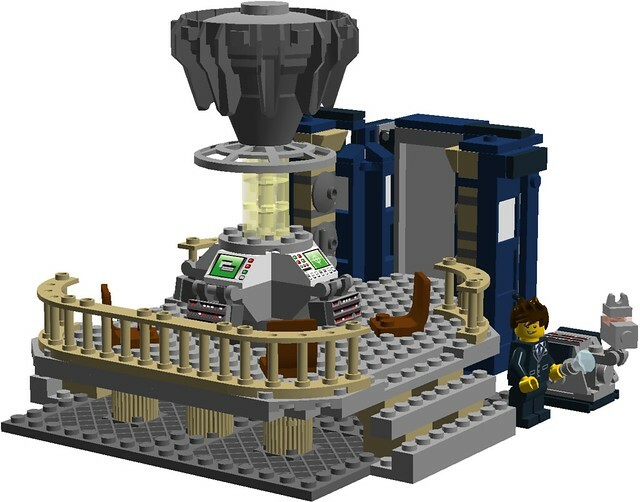 Very nice, you've captured the look of the Tardis very well. 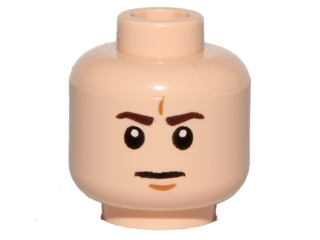 I like your Doctor figure. I did originally, but I didn't really like it that spikey. I think the part from Ninjago's Kai looked better, so that's what I used. Oh, by the way: welcome to Eurobricks! This is how it looked. 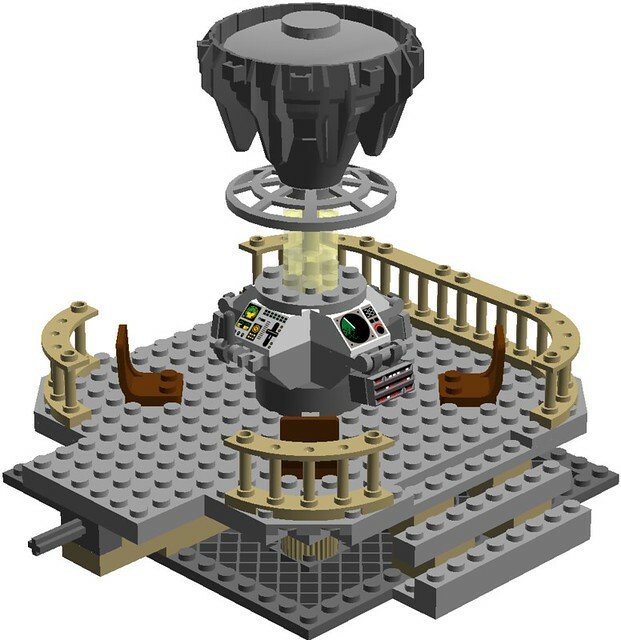 It was built from instructions by Doctor Andrew Sinister.... I can't find the link anymore, otherwise I would post it. 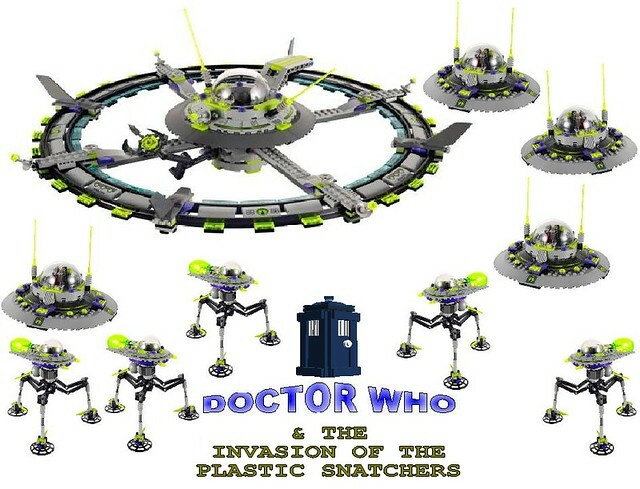 I originally made the TARDIS so I could put the Doctor in a 1950's B-Movie kinda invasion situation, but I never bought the Alien Conquest sets, just the TARDIS... this is all that's left, and it was made in Microsoft Paint in 2012. I think it might look better if you made the console rounder, like in the original idea, and in the new set, but made it with tan instead of light bley. Thanks for the idea! I'll try making it rounder when i get it in real life, but I don't think I'll use 12's console at all. Heck, I might just part it all out since I don't need the figs.